Yoga is a wonderful compliment to running. Runners get many benefits from practicing yoga. Stabilizing muscles strengthened through practicing yoga will help you keep proper form as you run, improving running efficiency. Better flexibility will lead to increased range of motion. You’ll learn to breathe more deeply and how to control your breathing during tough workouts, which you can translate to hard runs and races. And, you’ll learn techniques to enhance your mental focus, which will also help you during your difficult runs. 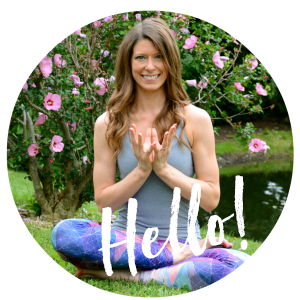 If you’d like more help with incorporating yoga into your training, as well as more in-depth information about how to start and/or your yoga practice as a runner, consider getting my Yoga for Runners Program. You’ll gain the tools you’ll need to improve your running both mentally and physically, becoming a stronger, more resilient runner, and reducing your risk of injury. If you’re looking for a portable resource, you’ll love my Yoga for Runners eBook. The eBook leads you through a background of yoga, different yoga exercises and poses to help improve your running, and how to incorporate different types of yoga into your training. This eBook is a wonderful reference book for any runner. What Are the Best Styles of Yoga for Runners? Excerpt from My Upcoming Book, Mat to Pavement! How Often Should Runners Do Yoga? Should Injured Runners Do Yoga? 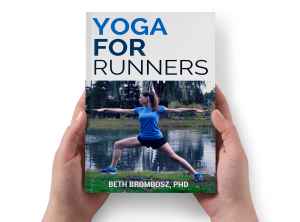 Announcing my upcoming Yoga for Runners eBook!